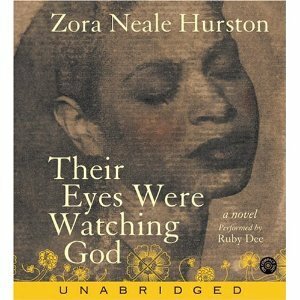 I just finished listening to Ruby Dee’s gripping reading of Zora Neale Hurston’s book Their Eyes Were Watching God . This was the first experience I’ve had with Hurston and with Ruby Dee. I need to turn the pages, think about the phrases, but I can’t imagine the reading of this book ever being close to as good as listening to this book. Dee’s cadences were slow and sonorous. Just hearing her voice gave me pictures of the characters. During the narrative of the flood Dee was shouting and I wanted to stand up and shout, “De lake is coming!” This book seems designed to be received through the ears instead of through the eyes. Phonics get in the way of reading it. I need to collect my thoughts before I respond to the book. Michel Chevalier’s reading captures the tones of a native of France. Listening to this memoir is the audio equivalent to Crème brûlée. are available at Amazon (click on link) for under $1.62 (+ 3.99 shipping). Lisette Lecat’s luscious African accents. 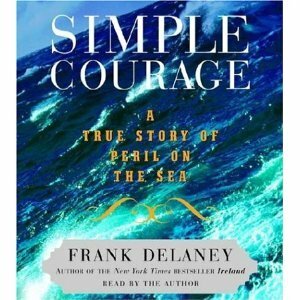 Frank Delaney’s reading of Simple Courage . I’m puzzled that so few know about this rip-roaring, harrowing adventure story. 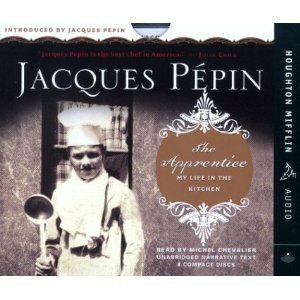 remains my very favorite audio book. Her voice remains in my mind years after I first heard this performance. There are drawbacks to audio books. It’s hard to bookmark a sentence you want to remember. It’s awkward to transcribe portions in your journal. 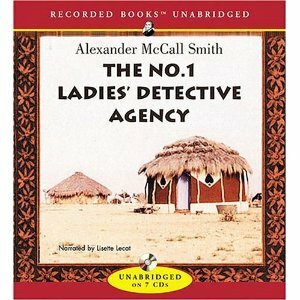 This entry was posted in Uncategorized and tagged audiobook, booklists by alivingpencil. Bookmark the permalink. First, (before I forget), I wanted to tell you that there was a movie made of Their Eyes Were Watching God, starring Halle Berry. It’s a few years old, and it’s okay/good. And I absolutely LOVE Sissy Spacek, esp. in “Coal Miner’s Daughter.” It was playing here on cable TV last month and I had to watch it again. SO VERY GOOD. And Tommy Lee Jones was excellent, too.Thanks for all the recommendations! I might just have to buy one…even though I’m broke! At this stage of the game (life), the only place I find that I can *listen* is in the car. So, I appreciate your encouragement to remember the audio version of books.And on those rare occasions that I’m listening while at home, it is a luxury to hold the book and follow along. Makes me feel like a child…. and someone dear is reading to me. PS What are you packing to read while you’re flying? @hiddenart – Always the biggest decision when traveling. I haven’t yet decided! I’m listening to Agatha Christie’s “Murder at the Vicarage” while I knit. Can’t wait to see your travel reading list. I’m getting ready to fly west next week and have to decide on a few books to take on my trip. I’m torn between what I know will be good reading – but are hardcovers, therefore heavy – and what I hope will be good reading, and are paperbacks, therefore lighter in the suitcase/carry-on. I have noticed that if I listen to a book I retain more than I would have imagined and often feel that the particular book on audio is particularly better as an audio book rather than a book-book. I just finished listening to Light in August by William Faulkner read by Will Paton. It was lyrical. I have read 3 Faulkners this year….all on audio and I love the lyrical language and yet often people hate Faulkner. And I can just imagine how hard it would be to read his words rather than hear them. I used to feel guilty about audio books, as if I had cheated somehow but now I begin to wonder if it is a better way in its place. Although it’s very funny in print, Connie Willis’ _To Say Nothing of the Dog_ is uproariously funny narrated by Steven Crossley. He is bang on in his vocal characterizations and comedic timing. I’ve listened to it repeatedly and never tire of it. Thanks for this reminder to utilize audio books. I wonder if there is an online rental service, a la Netflix, where you can stream online. That would be nice. Our library has a selection that tends to be limited to pop novels.